Adjustable legs allow seat to be raised or lowered in 1 inch increments. Seat height range is 15 inch-21 inch38-53 cm, 15 inch38 cm seat depth. 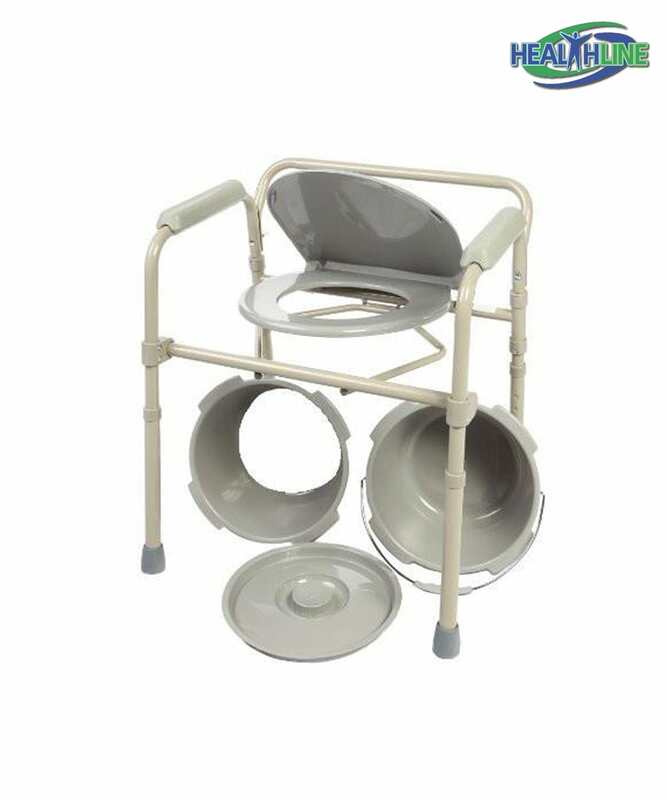 The folding bedside commode for bedroom is really compact and easy to assemble without the need for specific tools. Convenient and easy to use, it features a bucket with a lid and a splash guard. 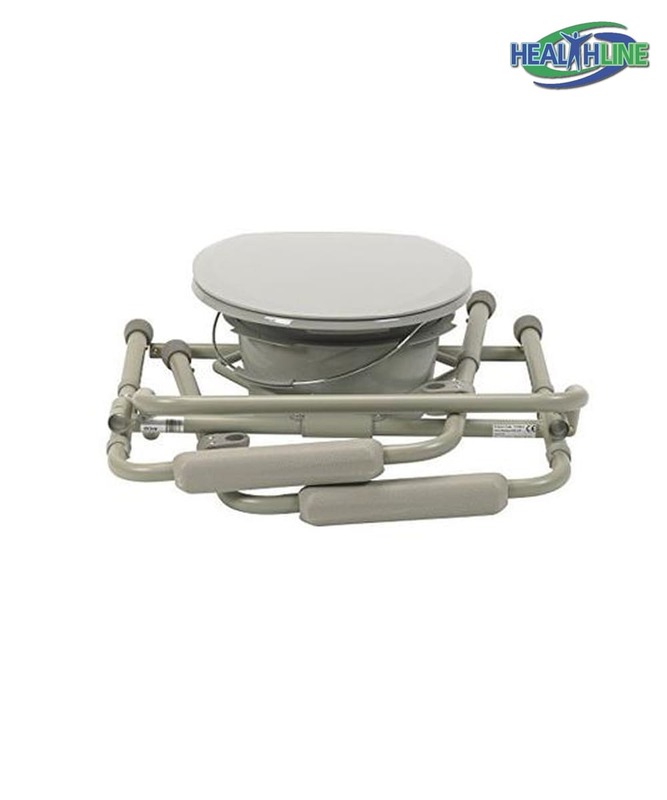 These components are made of medical grade molded plastic that is easy to clean and maintain. Modern push-button mechanism allows for swift tool-free height adjustments – each in 1 inch increments. The highest you can take the seat is 22.5″. 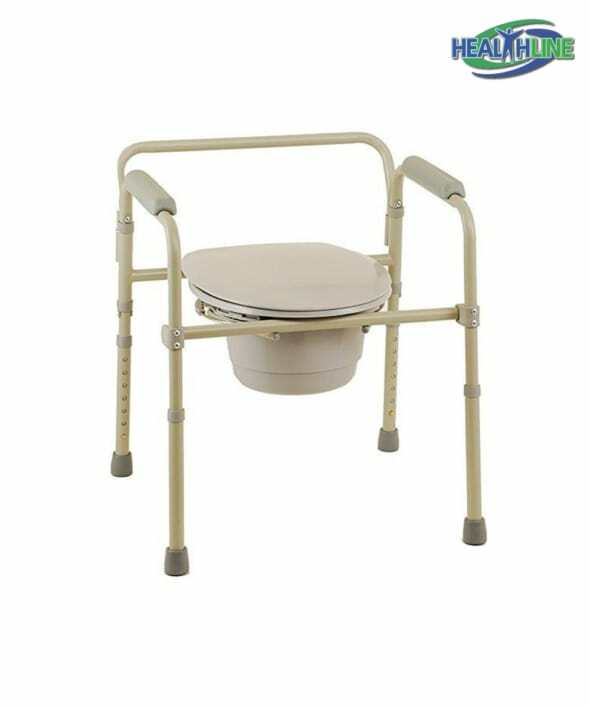 Each leg of the commode includes a slip resistant durable tip. Armrests on both sides are finished with slip free plastic handlebars for maximum grip control and patient comfort. 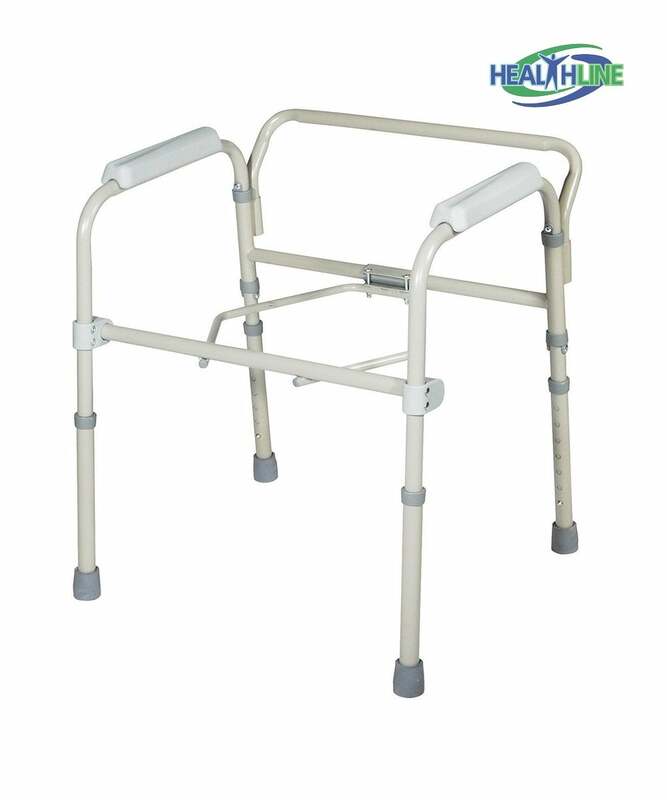 The back rail helps to support the patient’s back when sitting and can be easily removed if necessary. The welded sturdy structure of the product prevents it from wiggling and sliding around. Perfect for nursing homes and hospital use. 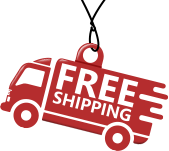 Practical and lightweight (weighs only 10 pounds) – it is easily disassembled for transport or storage. This commode has a weight carry limit of 250 pounds. You can lower its wide seat in accordance with patient’s height.